Are German Language Skills Necessary for Working in Germany? Germany has a strong economy: the unemployment rate is low, the demand for skilled labor is high, and there is a labor shortage for several occupations. If relocating to Germany ever crossed your mind, now is your chance! But not so fast – since English is a world language and relatively well-spoken in Germany, you might assume there’s no need to have German language skills when trying to find work in Germany. There must be plenty of English-language jobs in Germany. Wrong! In most cases at least, the German labor market is rather inflexible when it comes to language diversity. 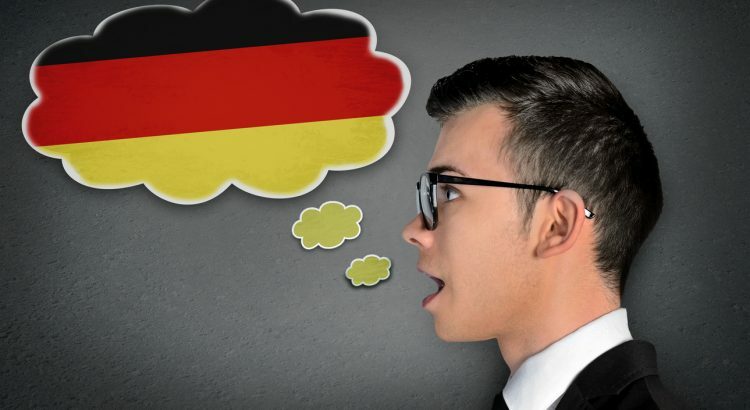 More often than not, German language skills are necessary for finding and exercising a job in Germany – in some cases German language proficiency is even mandatory. See what people experienced in recruiting have to say on this topic! There are certain professions that require proof of German skills for exercising the occupation (health care professions for instance). And there are professions which, by law, do not require German proficiency. Instead it’s the recruiter who decides whether you need German language proficiency in order to be hired. It’s sad to say, but without knowing German you’ll have a very hard time to find a job in Germany. We recently talked with Michael Fleischmann, the HR manager of the evopro systems engineering AG, which offers engineering services in the fields of automation and software (among others). He is well experienced in recruiting international employees, and knowledgeable about the role German language skills play in work life. In 2013, the company was awarded for successfully integrating international engineers by the Federal Ministry for Economic Affairs and Energy. “We learned that for us, as a small company which does a lot of contractual work for the industry, or generally, for customers, it was very difficult to integrate non German-speaking engineers or developers. It was no problem to communicate in English internally, but as soon as customers are involved, the lack of German skills becomes a problem. Most of our customers would not accept that they’d have to communicate in English. They’d say: ‘I am paying you 200.000 Euro for developing a system – I want to have it explained and documented in German.’ Of course, they want to make sure they understand all the information about the new system. Without German language skills, there’s no employment in Germany! “There are 340.000 companies with more than ten employees in Germany. Only 3.000 of them hire in English. If you don’t speak German, then 99,12% of the German job market is “off limits” for you. Let’s conclude on a high note: Supposedly, the stringent German proficiency requirements will change. As the skills shortage grows in the coming years, making it more and more difficult for recruiters to find employees and the pressure on German companies increasing, employers will probably open up for candidates without German proficiency. The bad news: For now, the reality is that without German language ability finding a job in Germany will be a great challenge. So, better start your German language course now, if you haven’t yet! Also in our blog: Darlan (25) left his home in Brazil to come to Hamburg and start his job in a German company in the E-commerce division. He shared his experiences how he found his job. Or read about the intercultural experiences of an Indian engineer living and working in Germany, or what a Spanish Engineer thinks about the Germans.